NCCPR Child Welfare Blog: Child welfare in Maine: Who will remember Logan Marr’s voice? Child welfare in Maine: Who will remember Logan Marr’s voice? As a little girl who died in foster care is forgotten, Maine embarks on a course that makes child abuse tragedies more likely. First of two parts. Read Part Two here. I have written many times on this Blog about the death of a little girl in Maine named Logan Marr. She and her sister, Bailey, were taken from their mother when the mother’s poverty was confused with neglect. They were placed with a foster mother who had once been a caseworker for the Maine child welfare agency. Logan herself tried to tell people she was being abused in foster care. She can be heard disclosing the abuse on a video taken during a supervised visit with her mother. But the child welfare agency wouldn’t listen. One day in January, 2001, that foster mother took Logan down to the basement, tied her to a high chair with 42 feet of duct tape and left her there to die of asphyxiation. The case was so emblematic of what has gone wrong with American child welfare that the PBS series Frontline devoted three hours of programming to the case and its implications. 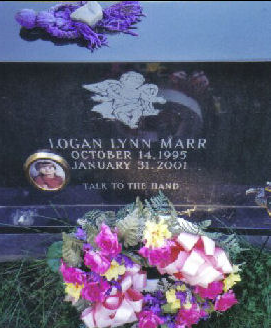 Unlike many deaths in foster care, the death of Logan Marr led to real reform. A new governor, John Baldacci, named new leadership to what is now the state Department of Health and Human Services. They rebuilt the system to emphasize safe, proven alternatives to foster care. They curbed needless removal of children and made all of Maine’s vulnerable children safer. 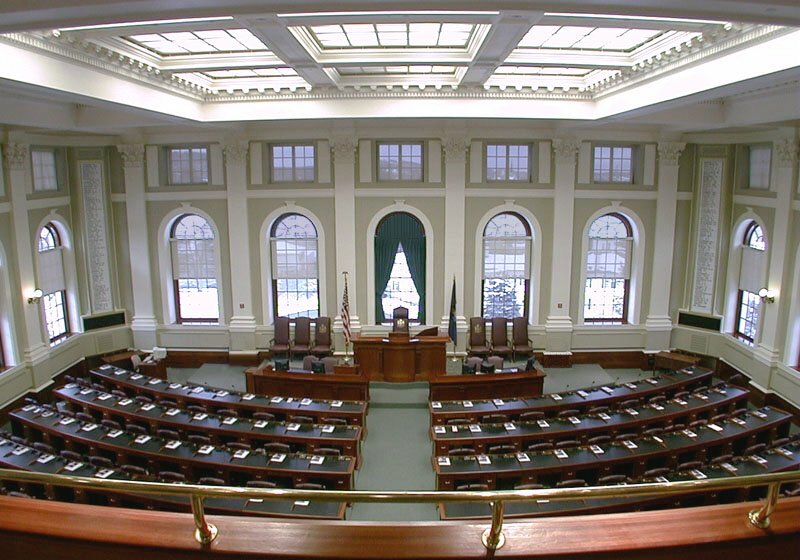 By 2009, Maine’s child welfare reform was a finalist for an Innovations in American Government award from Harvard’s Kennedy School of Government. As with Trump, facts don’t matter to LePage. So he soon set about getting rid of the child welfare reformers and backing away from the child welfare reforms. Maine already was well into a retreat from reform when two children “known to the system,” Kendall Chick and Marissa Kennedy, died in late 2017 and early 2018. Instead of “raising questions” about the way the LePage Administration had undermined safe, proven reforms, those deaths kicked the backlash into high gear. LePage embraced the Big Lie of American child welfare; the lie that family preservation and child safety are opposites that need to be balanced. This flies in the face of the track record of states – including Maine itself – that improved child safety by embracing family preservation. But not only her voice, but her story have been largely forgotten. 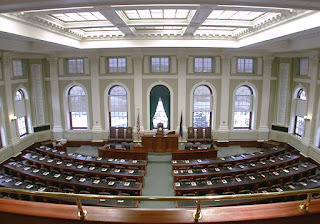 Maine has term limits, so the state legislators who were there when Logan Marr died, and who pushed for real reform are no longer in office. And between the passage of time – it’s been 17 years since Logan died – and the turmoil in the news business, almost all of the Maine journalists who covered the death of Logan Marr are gone. So there is almost no institutional memory. In part two of this post, I've published two documents to refresh the memories of those who have forgotten and introduce Logan and her family to those who never knew about them. All this leaves LePage and his DHHS free to revert to a pre-Logan Marr mentality. It leaves them free to take actions that endanger all of the state’s vulnerable children and make another tragedy such as the death of Logan Marr – or the death of Kendall Chick or Marissa Kennedy - more likely. First, we will be recommending that Maine’s statutes are revised so that the priority is on what is best for the child, not family reunification. Placing the priority on family reunification forces the system and the courts to try to keep vulnerable children in a family when the best thing would be to remove the child from the situation. Much of the harm LePage and DHHS are doing to children is obscured by invoking a phrase that seems entirely benevolent: “what is best for the child” – a variation of the classic “best interests of the child.” After all, who could be against that? In fact, these are among the most dangerous words – for children – in the entire child welfare lexicon. An unchecked “best interests” test gives caseworkers and courts free reign to impose their whims and prejudices on families. What is “best” is whatever a caseworker happens to think is best. So it devolves into comparison shopping, in which birth parents, often poor and disproportionately people of color, are forced to compete with overwhelmingly white middle-class foster parents – people with whom caseworkers can far more easily identify. Material poverty is easy to see – the love between an impoverished child and her or his parents is harder to see. So the child is needlessly consigned to the chaos of foster care – because the caseworker can impose her arbitrary, capricious and cruel vision of “best interests” on the child. for reform after the death of Logan Marr are no longer in office. “Best interests of the child” also is a phrase filled with hubris. It says we are wise enough always to know what is best and capable always of acting on what we know. In fact, those are dangerous assumptions that can lead us to try to fix what isn’t broken or make worse what is. “Least detrimental alternative” recognizes that whenever we intervene in family life we do harm. Sometimes we must intervene anyway, because intervening is less harmful than not intervening. In other words, foster care, even when done well is not “good for children.” But sometimes it is less bad than any other option. The phrase “least detrimental alternative” is a constant reminder that we must always balance the harm that we may think a family is doing against the harm of intervening. It is exactly the shot of humility that every child welfare system needs. It is exactly the shot of humility that was missing when the Maine child welfare agency first intervened in the life of Logan Marr. Of course one could argue that Logan Marr’s tragic death is a horror story and shouldn’t be the basis for policy. But the current undermining of reform in Maine also is rooted entirely in horror stories – the deaths of Kendall Chick and Marissa Kennedy. When anecdotes collide, it’s time to look at the data. As I have written before, I would be glad to negotiate a mutual moratorium on the use of horror stories and stick strictly to what research and data tell us about what happens in typical cases. ● It is the data that tell us that in typical cases, not the horror stories, children do better when they are left in their own homes. ● It is the data that tell us that, while extremes like the death of Logan Marr are, of course, rare, abuse in foster care is not. ● It is the data that tell us that when Maine reformed to emphasize family preservation, there was no compromise of child safety. So it is the data that tell us that the best way to really promote the best interests of the child is to do more, not less, to keep families together. 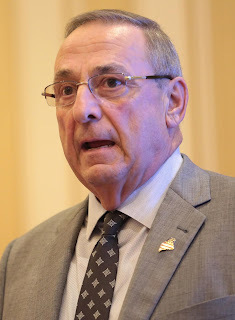 LePage’s second bad idea is to create criminal penalties for mandated reporters who don’t report when they have “any reason to suspect” abuse or neglect. But the real reason for most tragedies involving deaths of children “known to the system” almost always is that caseworkers are overwhelmed. Penalizing mandated reporters for not calling in anything and everything will deluge the child abuse hotline with even more false reports and trivial cases. That will do enormous harm to the children needlessly investigated. But it also will further overwhelm workers, leaving them even less time to find children in real danger – so more such children will be missed. Though not mentioned by LePage, still another DHHS initiative undermines the state’s differential response program, known in Maine as “alternative response.” Differential response has become a favorite scapegoat for those wedded to a take-the-child-and-run approach to child welfare – despite more than two dozen studies showing it is safe. There is one more complication in Maine: As he notes in his letter, Gov. LePage himself was abused as a child. So even beyond his Trump-like disdain for facts, the governor also is a victim of the tyranny of personal experience – an inability to recognize that other people have very different personal experiences, and no one personal experience can be a rational basis for policy. In part two of this post: A letter from Logan Marr's mother, and a college admissions essay from her sister.